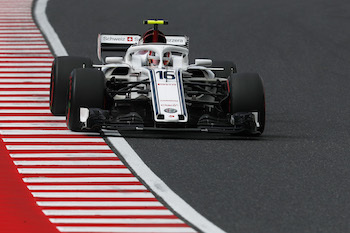 It turned into a fruitless Japanese Grand Prix today for the Alfa Romeo Sauber F1 Team with an early incident compromising Charles Leclerc’s (top) race, which would eventually end in retirement, while Marcus Ericsson (bottom) had it all to do as he battled his way up from the back of the pack. It turned into a fruitless Japanese Grand Prix today for the Alfa Romeo Sauber F1 Team with an early incident compromising Charles Leclerc’s race, which would eventually end in retirement, while Marcus Ericsson had it all to do as he battled his way up from the back of the pack. 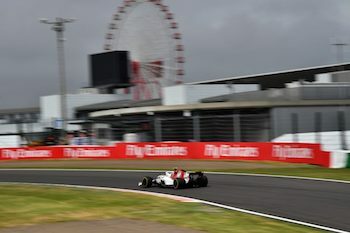 Spectators and teams watched a hectic Grand Prix unfold at the epic Suzuka Circuit but the eventful start of the race made an impact on Leclerc’s race outcome. Starting from tenth on the grid, Leclerc made a good start and was fighting his way to gain positions when an incident with Kevin Magnussen on lap two caused damage to his car that ended his chances of pushing into the points paying positions. Shortly after that, Leclerc came in for an early pitstop during the safety car period where the team changed the nose of his car. He then consistently worked his way into the upper midfield. Unfortunately, a mechanical issue on Leclerc’s car saw him retire from the race on lap 39. Ericsson also had a good start and made a good recovery from the back of the grid, fighting in the midfield. He crossed the finish line in P12. After an unrewarding weekend the Alfa Romeo Sauber F1 Team looks forward to the next grand prix, which will take place in the United States, and will be eager to fight for good results there.